A few years ago I watched a documentary called "Nature's Most Amazing Events". It was an interesting film series produced by the BBC that examined various happenings in nature from around the world. 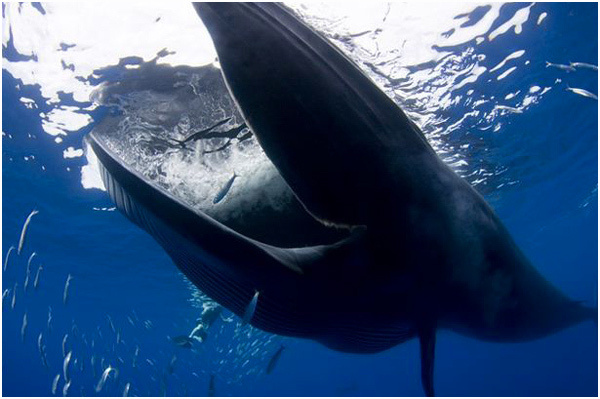 One of the segments in the documentary took a look at how smaller fish, such as sardines and mackerel, protect themselves from the larger fish and mammals in the sea. 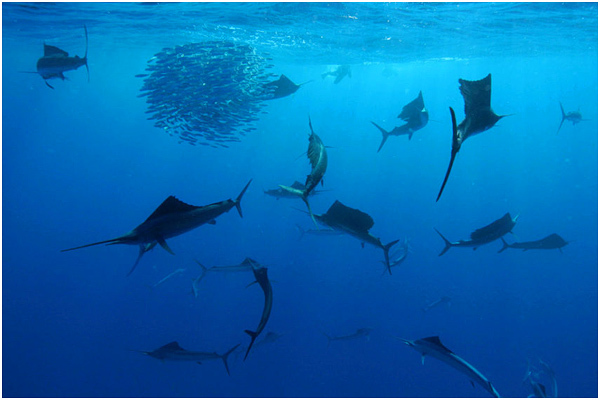 The basic strategy of the smaller fish revolved around the idea that there is safety in numbers. 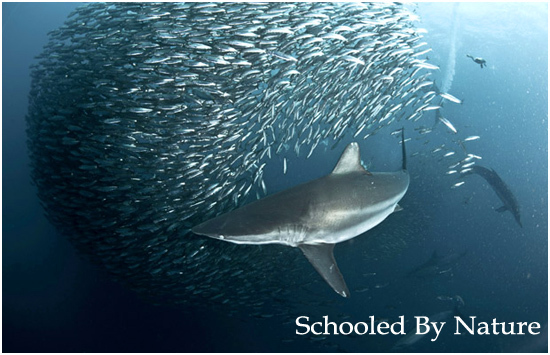 When larger predators came close to the smaller fish, they would school together in a very tight formation and then move away as a single collective when the predators tried to approach them. In some instances, this strategy was actually quite effective. 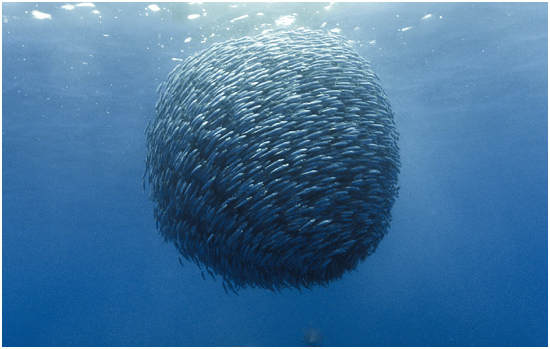 The swarming fish tended to confuse the larger predators and made it more difficult for them to successfully hunt their prey. However, other times the strategy didn't work out quite so well. For example, when the smaller fish encountered more intelligent predators (that understood their basic instincts, habits and protection mechanisms) then the "collective" that the smaller fish had formed became more of a trap than a type of protection. 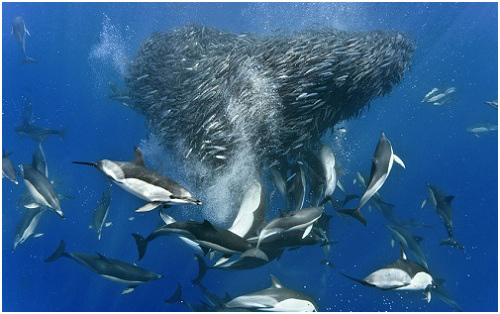 Dolphins and sea lions are a good example of sea mammals that use their intelligence and understanding of collective behavior patterns to "herd" smaller fish into very tight groups known as "bait balls". 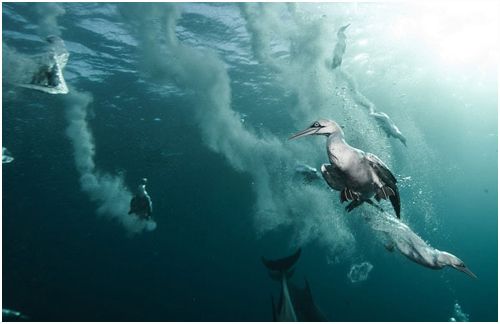 After the bait ball is formed, other dolphins and sea lions use the opportunity created by the "herders" to come and feast on the easy banquet that they created. This type of group behavior is actually quite common in nature and can be observed among many different species that tend to move together in herds, flocks or schools. When viewing the images above, it becomes clear that fish and animals aren't the only species that engage in this type of behavior. There are actually many parallels to Human behavior seen here as well. 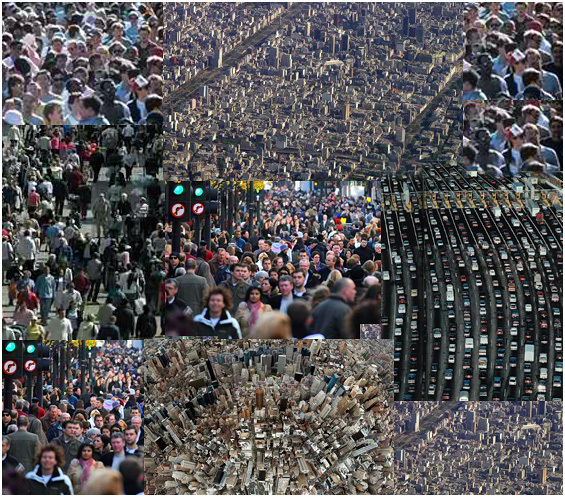 The Rulers of this world (predators) have developed a very good understanding of human nature (psychological and collective behavior patterns). The Rulers use this knowledge to create various mechanisms to herd the people (prey) together so that the Rulers (predators) can feed on us (our energy, productivity and wealth). There is some safety in numbers. However, that safety is only effective when people act with independent awareness and to work together as individuals to create a stronger and more aware community. 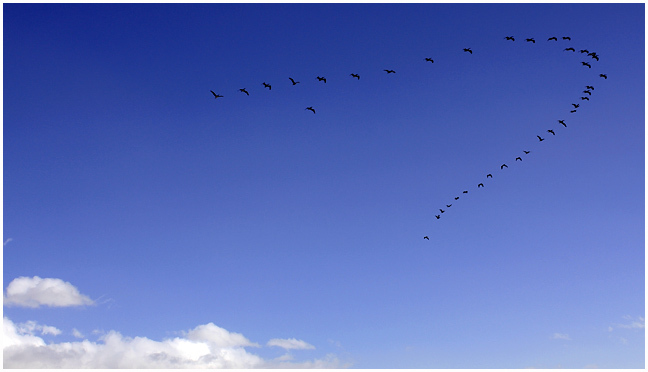 Sometimes it is desirable to fly together in formation. However, there are other times when it may be more appropriate to fly outside of the established group.